Whois is a unique type of tool to look up information about the domains registered by the users. The beauty of this tool shows for all major TLD domains extensions like .com, .net, .org, .in and other TLD extensions regarding the whois guidelines, but does not show the information for other TLD's which is not under the whois registry domains. 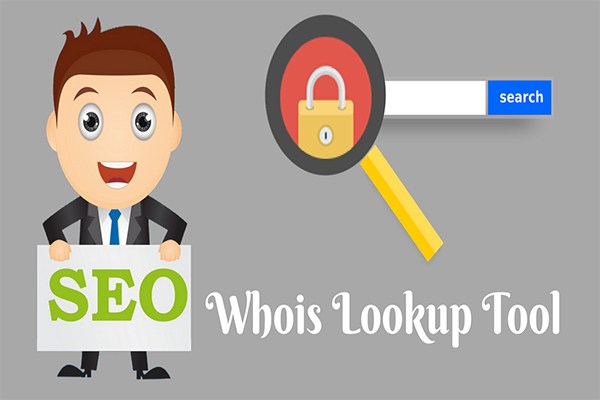 Whois lookup tool is used to check domain owner information like who is registered, including name, email address, domain service provider, phone number, expiry date and much more. Nowadays it is not complex to find registered domain information, but it became very simple to identify information of the domain under whois guidelines as we said before. So we brought whois lookup tool from Cool Seo Tools to be faster, user-friendly and safe to the user. All domain names have to be registered with the registrar and while doing so, the registrar asks the domain owner for specific details such as contact information. These details are required by the Internet Corporation for Assigned Names and Numbers (ICANN). The information about a domain name, as discussed above, is stored in the Whois Database. If you think it is not possible to check who owns a domain, think twice because it is totally accessible to anyone. To read such data, you need to use a Whois lookup tool. Why do we need a Whois Lookup tool? Whois Lookup tool is necessary to find out domain name details. You don’t need massive details to look up for domain details. Just the domain or website address is enough to search for and view the details. However, you can only find out the public information about a particular domain using the Whois system. Also, this allows you to look up a domain’s details only if it is registered. Mostly, the kind of information present in the Whois database depends upon the registrar. For instance, domains such as .org, .com, and .netprovide full contact details. These include domain registration date, expiration date, the registrant’s name, domain status, and the name servers. In contrast, the .au domain only provides limited information such as the registrar’s name, the registrant’s name and email, domain status, and the name servers. The Whois system originated back in 1982. It was launched at that time when the Internet Engineering Task Force had released a said protocol for those using the ARPANET. Initially, this protocol was simply a directory that listed the contact information of users who transmitted data around the ARPANET. With the evolution of the internet, the protocol also changed. This protocol remained fundamentally unchanged until ICANN inherited it in 1998. While the Whois database was a single, centrally-operated database, these days the data is managed by independent entities. Such entities are the registries and registrars. However, they use the same system standard. It was in 1999 that ICANN allowed other entities to offer the domain name registration services. These new registries were also responsible to maintain the TLDs registries. However, not everyone can claim to be a registrar. The entity that wants to be the registrar be accredited to ICANN. These registries are also under contract with ICANN and agree to operate gTLDs, such as .net, .com, or new gTLDssuch as .club and .cafe. To access more information, you can always go to the registrar's website. How does Whois lookup work? The registrar collects and keeps a record of the domain owner’s contact information. They then submit the key details with the registry. The registry, in turn, maintains the central directory for that TLD (top level domain). Just like in the case of an IP address, a domain name must also be unique. This makes it possible to attach each domain with a separate or unique single entity, whether it is an organization or an individual. This also makes it easy to locate the domain name within the DNS (domain name system). Each Top Level Domain (TLD), in turn, has its unique authoritative name server, which provides other computers with the information it needs to either locate a website or send an email to its destination. Therefore, the Whois database is important for the seamless operation of the domain name system. How to use the whois lookup tool? Alternatively, you can also raise a Whois query on your own using your computer. For this, you must be using a supporting operating system such as Linux’s lookup command or Windows command prompt. Subject to the laws applicable, ICANN provides public and unrestricted access to accurate Whois information. In a bid to hide their online presence, domain owners can’t provide inaccurate and unreliable information. If they do so, they may end up losing the right to use their own domain name. As domain details are provided at the time of registration, the information may change over time. So, domain name owners must update this information in order to adhere to their registrar's rules or they run the risk of losing their domain name. As mentioned, you can only access public information of a domain name. Also, most registrars these days offer private domain registration services. Here, the registrant’s contact details are concealed and the registrar's contact information is shown instead. So, the registrar providing domain privacy services becomes the domain registrant. However, this doesn’t guarantee your domain anonymity as the registrars are obligated to release private information by law. What does whois lookup tool provide? The tool is 100% free to use, just by entering the website URL in the respective text box and click the submit button. So within seconds, the user can view all the Whois information of a particular domain like name, phone number, email, the status of the domain, country, registration date, expiry date and much more. Cool Seo Tools have 50 seo tools and more tools are coming soon. Whois is a fantastic tool with tells a lot about the domain information than any other tool. We especially look at user perspective regarding site speed, whois fast input and output operation, mobile friendly. The tool is available all the time without any interruption. Sometimes you may want to purchase a website and so wish to know about the owner. You may want to network with a domain owner. You may need to file a legal complaint against a domain owner for violating your intellectual property. In such cases, using a Whois lookup can give you access to the required information. Here’s a close down on the advantages of Whois lookup. As an online business owner, you may use the Whois Lookup to network and enhance your Internet marketing. You may want to connect with several domain owners to negotiate transactions related to domain name sales, stress on the protection of intellectual property rights, and other purposes. The Whois Lookup is also important to ensure that every domain name is unique. No business or company would like another website to have the same name and allow their online presence to be damaged. Whois lookup is of great help for online security. With the growing threat of cybercrime and cyber-attacks, Whois comes to the rescue of law enforcement agents and security professionals and help in locating and identifying contact points for a domain name. So, take charge of your domain name and details and manage how it is accessed. Use this system to your benefit as listed above and let your online presence thrive.